Peter Capaldi: new Doctor Who star? Is Peter Capaldi getting the keys to the TARDIS? Veteran Scottish actor Peter Capaldi could be revealed as the next actor to play the titular Doctor Who, it’s been rumoured today. 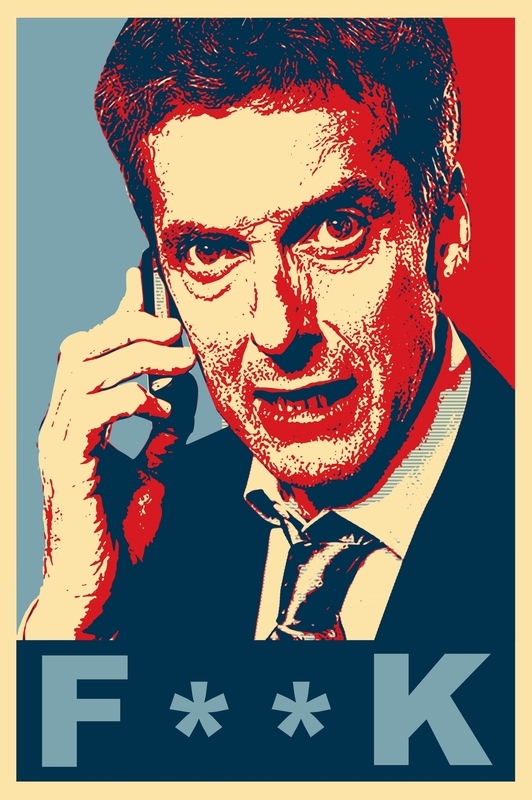 Capaldi is best known to TV-watchers as Malcolm Tucker from the extremely brilliant political sitcom The Thick Of It; but if the bookies are anything to go by then he could be Doctoring in something other than spin as soon as this Sunday. According to the Telegraph, a live TV special will air on BBC One this Sunday night to announce the next actor – a tweet by a BBC staffer to announce the scheduling change of Celebrity Mastermind was quickly removed. The programme will be hosted by Zoe Ball, Whorunner Steven Moffat and the outgoing actor Matt Smith if these rumours are to be believed. Can I just go ahead and say this? Moffatt and Smith to appear on the programme is all well and good, but to co-present? Like some kind of weird baton-passing between Smith and the new Doctor? That’s a little odd. As for Capaldi, as great as it would be to see him in a major, major programme like this, I’d take another series of Tucker over his playing the Doctor in a millisecond. I like that they’ve mostly stuck with unknowns over the years; let them make their name and a career for themselves AS the Doctor before moving on. Then again, with David Tennant stuck doing TV ads for Virgin Media here in the UK, perhaps it’s not all it’s cracked up to be. I don’t mind him as an actor but since he was Caecilius in the DW episode Fires of Pompeii (plus, he played John Frobisher on Torchwood) I’d have to say I really hope this rumor isn’t true. I do, however, love the idea of another Scottish actor taking the helm of the TARDIS!